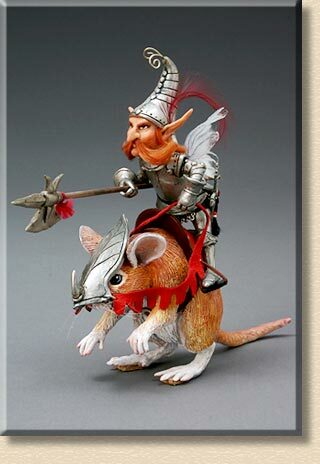 His mouse steed rears up ready for the final charge for the championship run of the Elf Knight Jousting Tournament. Media: Mouse and figure entirely of Super Sculpey, on a wire and aluminum foil armature. Knight has red mohair moustache and hair. 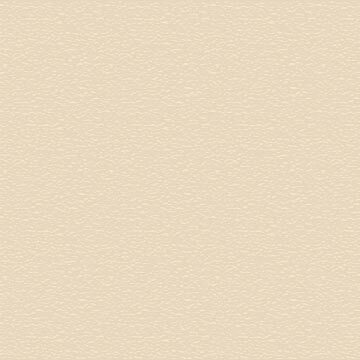 All armour is painted with "silver pulver". He has real, tiny handmade chain mail, and delicate paper wings. Props: He holds a lance made of wood and Sculpey. The mouse is painted with acrylics, has a leather saddle, and red leather reins.